Roy Thomas designed the members of the Squadron Sinister as analogues of DC's Justice League heroes Green Lantern, Superman, Batman and Flash. But Grand-Master modelled them on members of the alternate universe Squadron Supreme, to be introduced in #85-86. Roy was reusing the name of a WWII Timely speedster Whizzer, who himself will resurface in the present in Giant-Size Avengers #1. The Avengers don't know that Iron Man is Tony Stark. (Except that scenes in the later Avengers Classic #3 and Mighty Avengers #21 establish that Hank Pym (currently Yellowjacket) found out long ago.) The Avengers Index says that Iron Man is from a time after Stark has recovered from his current heart attack in IM#19. The various versions of the Index disagree as to whether the 3 Avengers have been transported to that time, or all 4 characters have been taken to a different time. (The 2nd version would at least explain how Iron Man knows when and where to show up.) It isn't clear whether all 4 of the Squadron aim to steal or destroy their target buildings, or just to defeat their opponents. Black Knight moved to England as seen in Dr Strange #178 as a consequence of discovering his ancestry in Marvel Super-Heroes #17. When the Squadron next appear as a team working for Nebulon in Defenders #13-14, Nighthawk switches to the heroic side and joins the Defenders. (In between he will appear in Daredevil #62.) 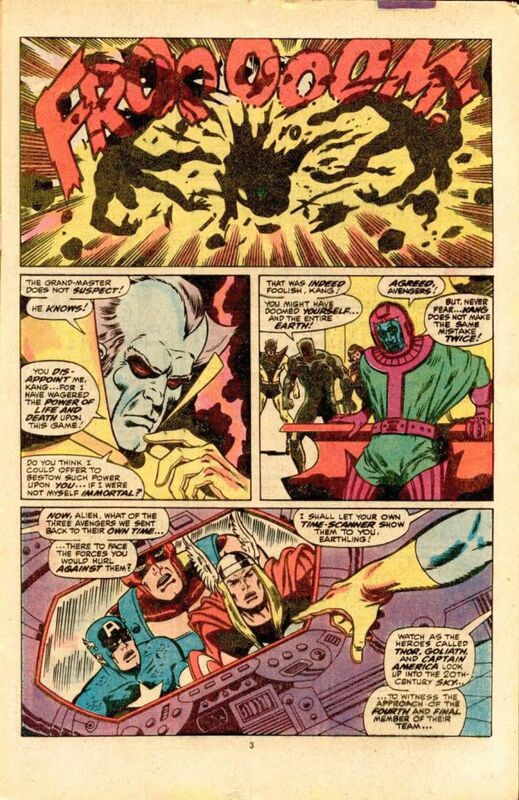 Before that, Iron Man #63-66 will reveal that the Power Prism is actually a Skrull, and by the time of the Defenders appearance it will have passed to a new owner. In a later appearance of Hyperion it will be claimed that Grand-Master created him from nothing and implanted the memories of the destroyed atom world. 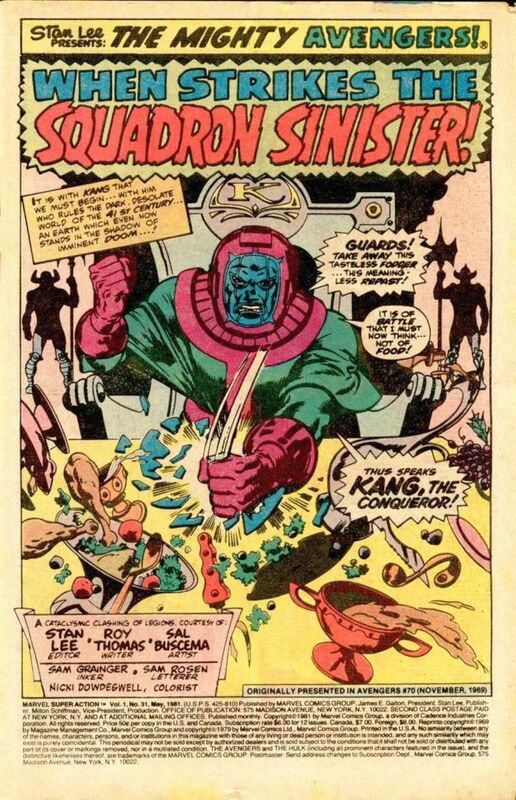 In the 41st century the immortal alien Grand-Master has challenged Kang to a game, pitting Kang's champions the abducted Avengers against Grand-Master's own choices. If Kang wins then he gets the power of life and death with which to revive his love Ravonna. If he loses Grand-Master will obliterate the Earth from all time. Grand-Master has sent Captain America, Goliath, and Thor back to their own time to face his champions the four-man Squadron Sinister. He created the villains by arranging for them to gain their superpowers. The three Avengers are joined by Iron Man. They wonder where he was while the hospitalised Tony Stark was in danger last issue. 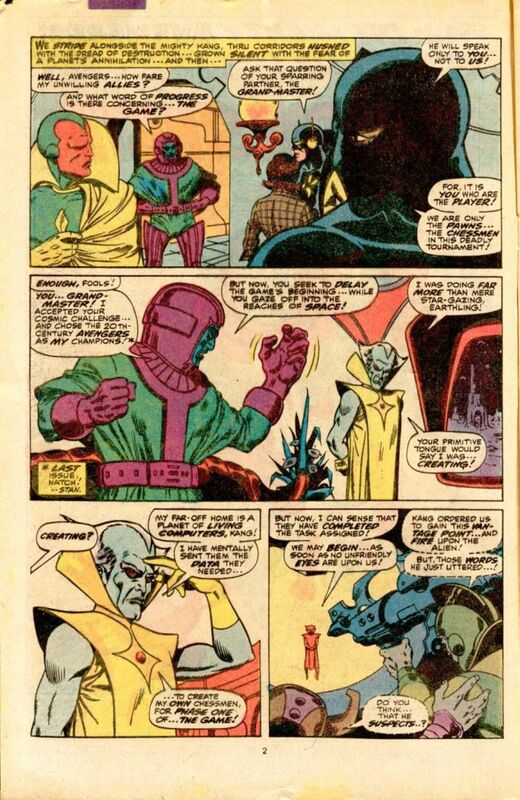 Grand-Master lets the Avengers know that they must battle individual foes in different parts of the world. Iron Man flies off to the Taj Mahal, partly to avoid his comrades' questions. And Thor uses his hammer to deliver the others to their designated targets. Cap fights Nighthawk at the Statue of Liberty. Nighthawk is millionaire Kyle Richmond. 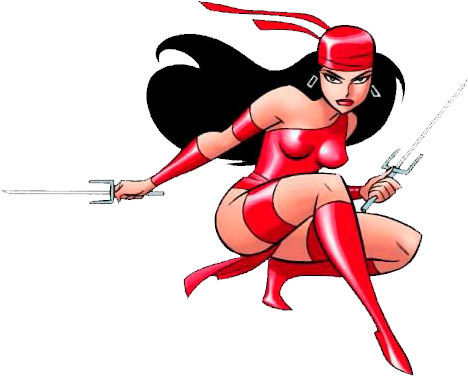 Grand-Master gave him enhanced strength at night, and Kyle added gadgets and athletic training. His task is to steal or destroy the Statue. But Cap deflects one of his explosive pellets with his shield, and the deflected blast knocks Nighthawk out. Iron Man meets Dr Spectrum at the Taj Mahal. Spectrum has a living Power Prism which can emit blasts or form weapons out of light. Iron Man deduces that the prism can only work with visible light, and defeats it with an ultra-violet beam. Thor and Hyperion clash at the Sphinx. Hyperion comes from a world in an atom that was destroyed by man's atomic experiments. Grand-Master enlarged him to take revenge on this world with his powers of strength, flight and atomic vision. Thor uses his hammer to shrink his foe inside a bubble of sand fused to glass. Goliath is waiting for Whizzer near Big Ben, but he is instead facing Black Knight who wants to help. Whizzer, who gained superspeed from a pill, runs rings round Goliath until BK stops him with the Ebony Blade. Goliath grabs the sword and is transported back to the future. Grand-Master says BK's interference means that the Avengers haven't won a clear-cut victory in phase one of the game. Black Knight swears to follow them to the future to make amends for his blunder. Plus: Black Knight, Doctor Spectrum, Goliath (Clint Barton), Hyperion, Nighthawk, Squadron Sinister.